Liqueurs are used to give our cocktails a twist of flavor, ranging from fruits to herbs and spices, and everything in between. As you explore cocktail recipes, you will that find many of them require at least one liqueur (or cordial). These distilled spirits are a vital part of mixing drinks and many are essential to a well-stocked bar. Brand names like Benedictine, Campari, Cointreau, and Drambuie are common sights in many bars. Some of these have proprietary recipes with distinct, unique flavor profiles that cannot easily be substituted. There are a number of names for styles of liqueur as well. Absinthe, creme de cassis, and peach schnapps are just a few examples, often produced by multiple brands. A number of these are also ideal candidates for homemade liqueurs, which are quite fun to make and add to your bar as well. This guide is designed to introduce you to the variety of liqueurs available today. 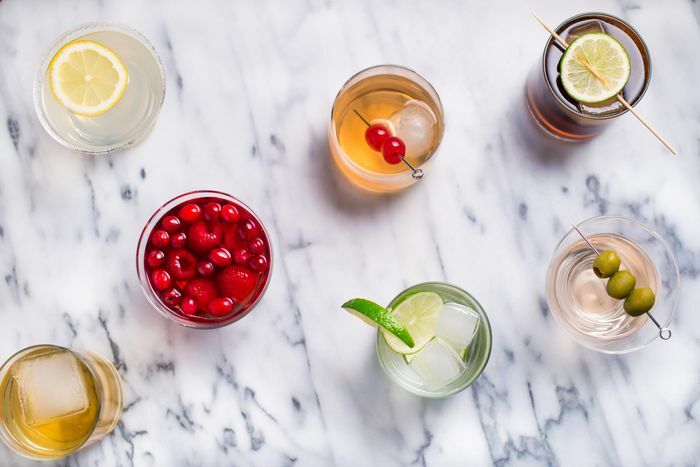 From staples like triple sec to intriguing liqueurs like Pama, there's a lot of flavor in these spirits and they can be used to make some fantastic cocktails. Absante: A pale green, anise-flavored liqueur. Turns opalescent when dripped slowly over ice. An ideal substitute for absinthe and other anise liqueurs. Absinthe: An anise-flavored liqueur that was originally 136 proof and was banned by law for many years in most countries. Absante, Pernod, and Herbsaint can be used to replace absinthe in cocktail recipes. Advocaat: A liqueur from Holland made of egg yolks, brandy, sugar, and vanilla that is often enjoyed straight or on the rocks. It is often referred to as the Dutch version of eggnog. Agavero: A tequila-based liqueur flavored with the damiana flower. It was created in 1857, uses a blend of 100 percent blue agave añejo and reposado tequilas aged in French Limousin oak. It is popular to drink straight or on the rocks and can be mixed into a variety of cocktails. Agavero is similar to Damiana Liqueur. Amaretto: An almond-flavored liqueur made with apricot pits. It is one of the most popular liqueurs and is essential in a well-stocked bar. Amaretto is commonly paired with a coffee liqueur or used as a smooth, sweet liqueur in shooters. Amaro Meletti: A bitter Italian digestif that is flavored with various aromatic herbs including anise and saffron. The flavor profile is surprising and reminiscent of chocolate. It is delicious on its own or over ice and used in a few cocktails. Amer Picon: A bitter French aperitif that can be hard to find, particularly in the United States. It has a distinct orange taste. Amer Torani and Amaro CioCiaro are among the viable substitutes to use in cocktails. Aperol: An Italian aperitif produced from a recipe developed in 1919. Its primary flavor is orange but it also includes rhubarb, chinchona, gentian, and other "secret" herbs. Very useful in cocktails that require a bitter orange flavor rather than a sweet one. Averna: An Italian bitter liqueur (or amaro) that is still produced from the original 1868 recipe of herbs, roots, and citrus rinds with natural caramel for sweetness. The liqueur is a favorite digestif in Italy and is often served on the rocks, but it also makes a great mixer for cocktails. Barenjaeger: A honey-flavored liqueur produced in Germany with origins stemming back to medieval Europe. Provides a nice neutral-flavored sweetness to cocktails and is an ideal substitute for real honey in drinks. Benedictine: A proprietary liqueur made of herbs, roots, and sugar with a Cognac base. It is a popular premium liqueur that is essential for a number of classic cocktails. Also available already mixed with brandy for a top-shelf bottled version on the B&B cocktail. Blackberry Liqueur or Brandy: Some blackberry brandies can be sweeter than the liqueurs, though they can often be used interchangeably. Crème de mûre is another blackberry liqueur. Butterscotch Schnapps or Liqueur: A liqueur made from a mix of butter and brown sugar that tastes like butterscotch candy. Sometimes referred to as Buttershots, which is actually a brand name produced by DeKuyper. Cacao Mint Nuss: Crème de cacao with an extra hazelnut flavor. It is not very common, though it is quite interesting to drink chilled or give crème de cacao drinks a nutty taste. Campari: A popular bitter Italian apèritif made with a unique blend of herbs and spices. Orange is the dominant flavor. The secret recipe was originally developed by Gaspare Campari in 1860 for his Cafè Campari in Milan, Italy. Campari is often served on the rocks either by itself or mixed with club soda. It is also a key ingredient in many apèritif cocktails. Chambord: The best-known raspberry liqueur brand on the market, it is a staple in many bars. The liqueur dates back to 1685 when Louis XIV visited Château de Chambord. Chambord is produced in the Loire Valley in France from red and black raspberries, honey, vanilla, and Cognac. Chartreuse: An herbal liqueur produced by Carthusian monks in the French Alps. It is available as either Green or Yellow Chartreuse and as a special V.E.P. bottling of both varieties, which are aged for a longer period of time. A common ingredient in many classic and high-end cocktails. Cherry Heering: A top-shelf brand of naturally flavored cherry liqueur from Denmark that is used in a variety of cocktail recipes. Cherry Liqueur: A variety of liqueurs flavored with cherries. Some use natural flavorings or real cherries while others use artificial flavorings. Cherry Heering, crème de cerise, and maraschino liqueur are all cherry liqueurs. Be careful when choosing this flavor as many bottom-shelf offerings can be reminiscent of cough syrup, a common result when cherry flavoring is mixed with alcohol. Cinnamon Schnapps: A group of clear or red liqueurs that are flavored with sweet cinnamon. Many are bottled at a high proof and the intensity of the cinnamon spice and sweetness varies greatly. Goldschlager, Hot Damn, and Aftershock are a few of the popular brands used often in cocktails and shooters. Coffee Liqueur, Crème de Café: A group of coffee-flavored liqueurs that vary greatly in flavor, style, and cost. The most popular coffee liqueur is Kahlua, though there are many brands and styles available. Most coffee liqueurs can be substituted for one another. They are great served ice-cold with heavy cream floating on top and are very popular ingredients in a variety of drinks. Every bar should have one bottle in stock. Cointreau: A very popular brand of orange liqueur that is considered a premium triple sec. Useful in any cocktail that calls for a generic orange liqueur and many recipes that call for it specifically. Tip: The crème liqueurs below are not creamy. The name refers to the high concentration of sugar used to make them. They are indeed very sweet, but definitely not cream liqueurs. Crème d' Apricots, Apricot Brandy or Liqueur, Apry: Apricot liqueurs vary in sweetness and quality, though they tend to have a great apricot flavor. Apricot brandies may be sweetened—making them a liqueur—or not. The top-shelf options are luscious when drizzled in a Champagne flute over cracked ice. Crème d' Almond: A pink liqueur flavored with almonds and fruit stones. Similar to crème de noyau, though amaretto may also be used as a substitute if the drink's color is not important. Crème de Banana, Banana Liqueur: Banana-flavored liqueurs are usually quite sweet and true to the fruit's flavor. There are not many options on the market and they're not used often, though they can be a lot of fun to play with for the right drinks. Crème de Cacao: A liqueur flavored with cacao (chocolate) and vanilla bean. It is very popular and used often in chocolate cocktails. Available in both white (clear) and brown varieties and produced by different brands. It can be used as a substitute for other chocolate liqueurs. Crème de Cassis: A sweet, low-proof liqueur made from French blackcurrants. Deep red in color, it can be found in a few popular cocktails and is often paired with wine. Crème de Cerise: A sweet cherry-flavored liqueur. Cherry Heering, maraschino, and other cherry liqueurs can be used as substitutes. Crème de Coconut, Coconut Liqueur, Batida de Coco: Sweet coconut-flavored liqueurs typically have a rum base and are popular in tropical cocktails. Batida de coco is a creamy liqueur; crème de coconut tends to be clear; other coconut liqueurs may be one or the other. Not to be confused with "cream of coconut," a non-alcoholic liquid also found in many drink recipes, though coconut liqueurs can be used as a substitute. Crème de Framboise: A sweet red to purple liqueur with a raspberry flavor. Chambord is a popular substitute. Crème de Menthe: A popular sweet liqueur flavored with mint leaves or extracts. It is either white (clear) or green and is also a popular ingredient in baked good recipes. Peppermint schnapps is a common substitute. Crème de Mûre: A sweet blackberry-flavored liqueur. Can be a substitute for Chambord and other blackberry and raspberry liqueurs. Crème de Noyaux: A pink liqueur that has a distinct almond flavor and is made with the stones of plums, cherries, peaches, and apricots. This is not a very common liqueur but is found in a few cocktails. Crème de Violette: A purple violet-flavored liqueur that was relatively common in classic cocktails. It lost some of its popularity because of import issues until the late 1990s. It has since become a favorite ingredient for reviving the classics and in developing modern recipes. The most popular brand is Rothman & Winter. Curaçao: Often made from the dried peels of lahara oranges, this was the original orange liqueur and is used in many classic cocktails. Normally, it is orange in color but it can also be white, blue, or green. Blue curaçao is a very common way to create stunning blue cocktails. Cynar: An artichoke-based bitter liqueur that was launched in 1952. Despite its base, it does not taste like an artichoke because it also includes a blend of thirteen herbs and other plants. The aperitif is commonly paired with orange juice and either soda or tonic. It is also used in a number of modern cocktails. Damiana: A lightly-flavored herbal liqueur produced in Mexico with a tequila base. The primary ingredient is the damiana herb, which has long been used as an aphrodisiac. According to the Damiana brand, this liqueur may even have been used in the first margarita. It is similar to Agavero. Domaine de Canton: A brand of ginger-flavored liqueur with an eau-de-vie and Cognac base produced in France. This one's very popular and you will find a bottle in many bars because it is used often in cocktails. Dorda Double Chocolate Liqueur: A top-shelf, creamy chocolate liqueur with a Chopin Vodka base. It is produced by the famous Polish chocolatier, E. Wedel and perfect for use in chocolate cocktail recipes with a creamy profile. Ecstasy: A clear liqueur flavored with lemon and pomegranate. First released when energy drinks were really hot, the liqueur is energized with natural stimulants, including guarana, taurine, and ginseng. Fernet Branca: An Italian amaro (bitter) liqueur with a strong flavor and aroma that was first produced in 1845. The digestif is made with around 40 herbs, roots, and spices and has a notable menthol-eucalyptus flavor. Frangelico: The best-known, top-shelf hazelnut flavored liqueur. It is made from the infusion of toasted hazelnuts into alcohol and water. The recipe includes additional flavors from roasted coffee, cocoa, vanilla berries, and rhubarb root. A very popular mixer for a variety of nutty cocktails. Galliano: A smooth, spicy liqueur with overtones of anise and vanilla from Livorno, Italy. It cannot be missed in the bar because it's often the tallest bottle and the liqueur is a brilliant gold color. It's not used too often but is nice to have around because it's essential for a handful of popular cocktails. Ginger Liqueur: A ginger-flavored liqueur that is often made with a variety of ginger. Herbs and honey are also often added to a base that may be brandy, rum, or a neutral spirit. Domaine de Canton is one of the most popular brands. Gingerbread Liqueur: Often a seasonal liqueur released during the autumn and winter seasons, these are flavored with the signature spices found in gingerbread. They tend to be very sweet, but are fun to play with in season cocktails. A few brands have taken on the flavor, including Hiram Walker and Kahlua, though these tend to come and go on the market. Gingerbread syrups can be used as a substitute. Godiva: A line of chocolate liqueurs produced by the renowned gourmet chocolatier, Godiva. These are sweet and creamy and come in a variety of flavors, including white chocolate. Useful in many cocktail recipes in which a creamier chocolate liqueur would be a good fit. Goldschlager: A high-quality, clear-colored cinnamon schnapps that contains 24K gold leaf flakes. It is a fun liqueur to play with and appears in many cocktails and shooters. Grand Marnier: A top-shelf and very popular orange liqueur with a Cognac base that is made in France. It is considered an essential for a well-stocked bar and is called for in countless cocktails. Though it is often used as an accent liqueur, Grand Marnier can also be a drink's primary ingredient. GranGala Triple Orange: An orange liqueur with an Italian VSOP brandy base and flavored with Mediterranean oranges. It can be used as a substitute for Grand Marnier. Herbsaint: The brand name for an anise-flavored liqueur that has long been used as a substitute for absinthe. Released after Prohibition in 1934, Herbsaint is a product of the New Orleans-based Sazerac Company. The original recipe of this 90-proof liqueur was re-released in 2009 as Herbsaint Original (100-proof). It can be a substitute for Pernod or used in any cocktail that calls for an anise liqueur. Hpnotiq: This popular ocean blue tropical liqueur is a nice blend of vodka, cognac, and tropical fruits (a family secret). It is a great substitute for blue curaçao and the star of many beautiful blue cocktails. Irish Cream Liqueur: A creamy liqueur made of Irish whiskey, cream, and chocolate. It is one of the most popular liqueurs in the bar and often used to give drinks a creamy base. Baileys is the most popular brand, though there are others worth exploring. Irish cream is essential to many well-known cocktails and shooters. Irish Mist: A sweet liqueur made of an aromatic blend of Irish whiskey, honey, herbs, and other spirits. The recipe dates back more than 1,000 years. Jägermeister: An very popular herbal liqueur produced in Germany with a somewhat notorious reputation. It is often served in shooters but can also be enjoyed in fine cocktails. Kahlua: A very popular brand of coffee liqueur produced in Mexico. It is so common that the name kahlua is often used to refer to any coffee liqueur in general. The brand offers options beyond the standard Kahlua, including deeper coffee flavors and other flavors like caramel, hazelnut, and vanilla. Kahlua is used in countless cocktail and shooter recipes. Limoncello: A sweet, lemon-flavored Italian dessert liqueur made from lemon zests. It is one of the best lemon liqueur options, used often in cocktails or sipped straight after chilling. It's pretty delicious drizzled over ice cream and used often in baked goods as well. Licor 43: A vanilla-flavored liqueur produced in Spain. The recipe contains 43 ingredients and vanilla dominates the flavor. It also includes citrus, other fruits, herbs, spices, and other secret ingredients. A popular liqueur, it has long been one of the primary vanilla liqueur options on the market. It has become the go-to substitute for the discontinued Navan in many modern cocktail recipes. Lychee Liqueur: A category of rather sweet liqueurs flavored by either distilling or infusing lychee fruit into a base spirit. It's an exotic flavor that works well in many simple cocktails and party shots. Mango Liqueur: Often a sweet, orange-colored liqueur flavored using the tropical fruit. A number of brands produce mango liqueurs, including Bols, Marie Brizard, and Orchard. Maraschino: A clear, dry, cherry-flavored liqueur made from the Marasca cherry and its pits. This is a popular cocktail mixer and is used in many of the classics because it is not as sweet as other cherry liqueurs. Midori: A bright green-colored liqueur that has a sweet melon flavor. This is the most popular melon liqueur on the market, though there are others of similar color and flavor. It's a versatile liqueur, essential in a bar, and used to make many beautiful green cocktails and shooters. Navan: A now discontinued liqueur with a Cognac base flavored with natural black vanilla from Madagascar. This premium spirit was produced by Grand Marnier and was extremely popular. For a number of years, it was the vanilla liqueur of choice and used in many modern cocktail recipes. Viable substitutes include Bols Vanilla, Galliano, Licor 43, Tuaca, and other vanilla liqueurs. Ouzo: A popular anise-flavored Greek apéritif liqueur that is typically over 90 proof and similar to the Turkish raki. When drunk on its own, it's normally mixed four parts water to one part ouzo. It can be used in place of other anise liqueurs like absinthe, Herbsaint, and Pernod, though it does appear in some cocktail (and many shooter) recipes. Many cooks enjoy adding ouzo to food as well. Pama Pomegranate Liqueur: A very popular thick, sweet, red liqueur infused with the flavor of pomegranates. This premium spirit makes a great cocktail mixer and is a nice accent for a variety of food dishes. It can be used as a substitute for grenadine syrup in almost any cocktail. It's also a quick way to give popular cocktails—margarita, daiquiri, etc.—a pomegranate twist. Patrón Citrónge: An orange liqueur produced by Patron Spirits using the brand's tequila as the base. It is ideal for tequila cocktails, even those that call for other orange liqueurs. Patrón XO Café: A tequila-based liqueur with the flavor of coffee. The liqueur is drier and not as sweet as other coffee liqueurs but is stronger at 70 proof. It is featured in a number of cocktail recipes and pairs perfectly with tequila. It can be used as a substitute for Kahlua or any other coffee liqueur. Peach Liqueur: Made from an infusion of whole, fresh, and/or dried peaches in brandy or a neutral spirit base. Produced by a number of brands of varying quality and they may use the French "pêche" on the label. Some bottles to look for include Bols, JDK & Sons, Marie Brizard, and Mathilde. You can also make your own peach liqueur rather easily. It can be used as a substitute for peach schnapps. Peppermint Schnapps: A mint-flavored liquor similar to crème de menthe, but peppermint schnapps uses less sugar and more alcohol. Quality, strength, and flavor vary among the many brands that produce it. It often has a strong, snappy mint flavor and is used in a variety of popular winter cocktails and party shots. Pimento Dram: A peppery Jamaican rum liqueur with an allspice flavor that is found in tiki and classic cocktails. It is also called "allspice dram." Pimm's Cup: A brand of liqueurs that combines a secret recipe of fruit and spices and adds it to a variety of base liqueurs. The most common is the gin-based, Pimm's No. 1 Cup, which is featured in a favorite mixed drink of Southern England that goes by the same name. Pineapple Liqueur, Licor de Piña: A pleasant, tart fruit liqueur with the tropical taste of pineapples. This flavor is not called for often in cocktails, but it's fun to add it to recipes to give a drink a pineapple kick. There are some good producers of pineapple liqueurs, including Bols and Giffard; 99 Pineapples is a fun one, too. This would also be a good flavor for a homemade liqueur. Pumpkin Liqueur: Pumpkin-flavored liqueurs are usually found only during the autumn and winter months. Brands available include Hiram Walker Pumpkin Spice and Bols Pumpkin Smash, though others do pop up on the market. It's a great way to get your pumpkin drink fix and can be used to make some tasty autumn cocktails. Raki: A high-proof anise-flavored liqueur from Turkey that is often enjoyed with food. It's very similar to ouzo and is most often served in a narrow kadeh glass filled halfway or less with raki then topped with water to taste. It's can be used as a substitution for absinthe or other anise liqueurs. RumChata: A cream liqueur that quickly took off and became extremely popular after its 2009 debut. RumChata is made with Caribbean rum and Wisconsin dairy cream and flavored with cinnamon, vanilla, sugar, and other ingredients. It can be used in any cocktail that calls for Irish cream. Since it's made with real cream, it can curdle when mixed with some ingredients, particularly root beer. St. Germain: A French elderflower liqueur with an eau-de-vie base. It's a very popular liqueur and used in a number of cocktails that often have soft flavors that accent the floral profile. 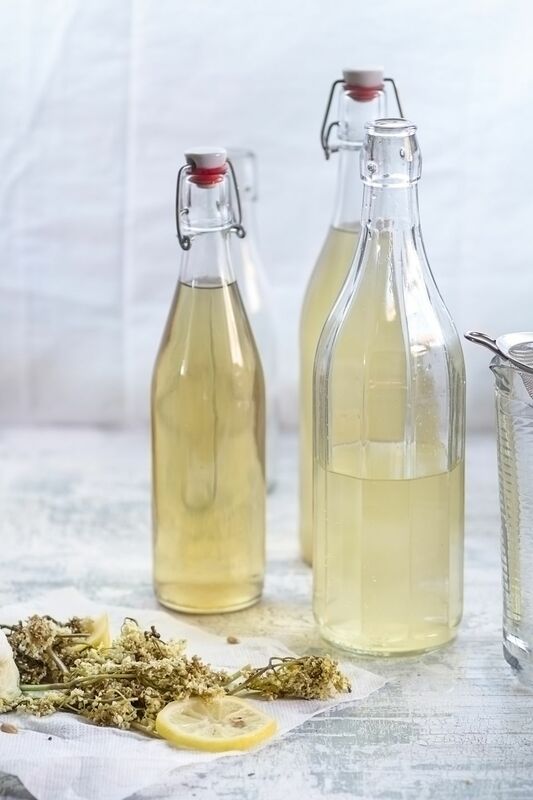 It is a good substitute for a non-alcoholic elderflower cordial, which many people enjoy making from scratch. Sambuca: An Italian liqueur made from the oils of anise, star anise, licorice, elderflower, and other spices. The flavor is similar to a subtle anise (black licorice) and is showcased in many cocktails and shots. Sambuca is available in white, black (a bluish hue), and red colors. Schnapps: Not typically a liqueur by strict definition, but a distilled spirit that is often produced with fruits in the fermentation tanks. There is a distinction between the real schnapps produced in the traditional European fashion and the super sweet or very flavorful "schnapps" that is very popular in the U.S. Schnapps come in many flavors; apple, cinnamon, peach, and peppermint are the most common. Sloe Gin: A red liqueur, which is not a gin at all. It is made from the sloe plums of the blackthorn bush. Some types will produce a creamy head when shaken with ice, and this is typically indicated on the bottle's label. It's used to create some very fun and rather popular cocktails. Somrus: An Indian cream liqueur made from a blend of rum and dairy cream and flavored with a variety of spices. It can be used as a substitute for Irish cream or RumChata. Somrus can be used in desserts, either when baking or as a topping, and it's a really nice creamer for chai tea. Southern Comfort: An American liqueur made from a whiskey base and flavored with peaches. It is an excellent mixer and bottled at 100 proof, adding to its comforting, warming qualities. Often nicknamd "SoCo," it's quite popular and makes an appearance in a number of cocktails and shooters. Strawberry Liqueur: A variety of liqueurs that are made from either real strawberries or artificial flavoring. Produced by a variety of brands with varying degrees of quality, sweetness, and flavor. Some brands to look for include Bols, Fragoli, and Marie Brizard. While not called for often in cocktails, these liqueurs can add a quick touch of sweet berries to a variety of drinks. Strega: An Italian liqueur made of 70 herbs and spices. Strega is Italian for "witch." The liqueur is best known for its saffron, mint, and juniper flavors, though other ingredients include cinnamon, fennel, and iris. The saffron gives the liqueur its distinct yellow color. Sweet Revenge: A wild-strawberry, sour mash liqueur made in the U.S. from American whiskey. It is sweet, has a nice fruit flavor, and is a brilliant pink color that is fun for the right occasions. Tangerine Liqueur: A variety of liqueurs made from tangerines, often with mild spice flavors added. It is not a widely used liqueur and few brands are available, including Lluvia de Estrellas and Russo Mandarino. Tangerine juice can be a substitute or be used to make a homemade tangerine liqueur. Tequila Rose: A creamy strawberry-flavored liqueur made in Mexico. It is a mix of strawberry liqueur and tequila and was once far more popular than it is today. You'll find it called for in a number of cocktails and shots that we might consider retro. Triple Sec: A colorless orange-flavored liqueur that is often used as a generic name for all orange liqueurs. It is essential in a bar and varies greatly in quality from one brand to the next. Cointreau and Combier are premium brands of triple sec. Triple sec is called for in many cocktail recipes, including the majority of margaritas. Tuaca: An Italian liqueur that was reportedly created for the Renaissance era ruler, Lorenzo the Magnificent. The flavors are a subtle blend of vanilla and citrus. It's a good one to have in the bar and can be used as a substitute for other vanilla liqueurs. TY KU: A pale green liqueur with a sake and Asian vodka base. The flavor is a mix of over 20 all-natural fruits and botanicals, including Asian pear, fuji apple, pomegranate, damiana, ginseng, and yuzu. It's a great tropical liqueur for creating fun green cocktails and shots. Unicum: An herbal digestif produced in Hungary. It uses a secret recipe of 40 herbs and spices that was originally created in 1790. It is a bitter liqueur and the base formula for Unicum Plum and Zwack liqueurs. Vanilla Liqueur: There are not many true vanilla-flavored liqueurs. Instead, it's common to find vanilla in a blend with other flavorings, though it does often dominate the overall flavor profile. Popular "vanilla" liqueurs are Galliano, Licor 43, and Tuaca. Bols and a few other companies that specialize in liqueurs do offer a straight vanilla. It's a fun flavor for a variety of cocktails and vanilla vodka is a good substitute, though those are not sweetened. VeeV Açai Spirit: A unique distilled spirit (technically a liquor rather than a liqueur) made from the açai fruit, which is one of the popular "superfruits." VeeV is an interesting ingredient for cocktails and can be used much like a berry-flavored vodka. X-Rated Fusion: A pink liqueur from France that infuses mango, Provence blood oranges, and passion fruit into a premium vodka. X.-Rated Tropics is bright yellow version flavored with pineapple and coconut. They're fun to mix into funky cocktails. Yukon Jack: A popular Canadian whisky-based honey liqueur. It is commonly mistaken as a straight Canadian whisky, though it has a distinctly sweet taste. It is used in some rather popular drinks. The brand also produces a peppermint schnapps called Permafrost. Zen: A discontinued green-colored, green tea-flavored liqueur produced by the Japanese company, Suntory. It was made with Kyoto green tea, lemongrass, and a variety of herbs with a neutral grain spirit base. It was quite popular and used in a variety of cocktails. There is no good substitute on the market, though you could develop your own recipe for a green tea liqueur rather easily. Zwack: An herbal digestif liqueur that is less bitter and has more citrus notes than Unicum, on which it is based. This liqueur is popular in the United States as an alternative to Jagermeister.